When it comes to our mobile devices we tend to take security for granted. In truth, these devices are open to the dangers of the Internet just like a computer is. This is why you should consider using a VPN when using your device on the Internet. So, what is a VPN? A Virtual Private Network is a buffer between your connection and the rest of the Internet. When using a VPN, you are able to hide your IP address and use the Internet not only anonymously but also spoofing your location, so as not to give your geolocation away. It also allows you more security on your device too. With your mobile device chances are you are going through many public areas and using their hotspot Internet access. Each time you do this you can be opening up your data to possible hijacking. If you use this device for work, that means that sensitive data could be passed around too. What a VPN does is to protect your connection and your data from outside interception. The fact that your data will be encrypted too also gives that added level of protection that you need. A mobile VPN can act like a permanent connection to your home or work server. This is beneficial if you enjoy gaming on-the-go. The best Android VPN's connect to your Internet connection, and use that to create a more stable Internet access for your phone. This is always a plus, especially when your online activity requires that reliability. Through using a VPN in a different area of the world not only do you open up geolocked content, but you also can find that foreign websites open faster. If you visit plenty of foreign sites on your phone, or want to connect to faster game servers around the world then this can prove invaluable. Through the way, you connect to a VPN through your Internet connection rather than through an App, this leads to flexibility in the type of connection you can use. This includes wi-fi, 4G networks and any other connections available to you. It all works on the same protocol. 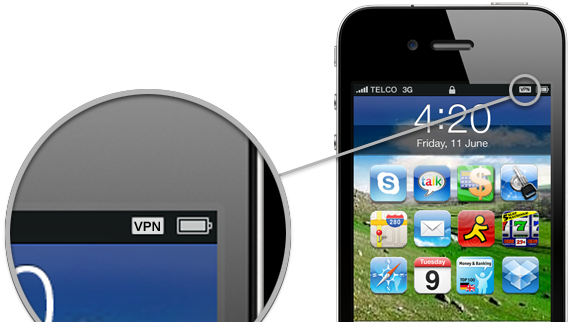 Unless you are using a service like Skype, be aware that VPN does not encrypt your phone calls. This is something that you should be aware of when using a VPN service. If you want your calls to go through VPN then be sure to use a IP voice service. The main reason to use a VPN on your phone is of course security. In this day and age with hacking and cyber-crime seemingly rising in prominence, we have to be aware of the dangers towards our personal data. VPNs are the best way to protect yourself, along with virus scanners and malware checkers of course. Always be aware of the dangers that are out there, and take action against them, so that you can concentrate on the more important task of your mobile device (to have fun).